As the new Administration begins to implement legislative and regulatory changes, state Attorneys General have begun to exert their own agenda by increasing activity in the area of consumer protection. For example, on January 26, the New York OAG announced a settlement with Acer Service Corporation over a data breach involving thousands of credit card numbers. On February 1, the New York OAG announced a lawsuit against Charter Communications Inc. and its subsidiary Spectrum Management Holdings, LLC, (f/k/a Time Warner Cable, Inc.,) for allegedly conducting a deliberate scheme to defraud and mislead New Yorkers by promising Internet service that they knew they could not deliver. 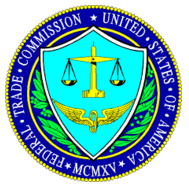 On February 6, the FTC and the New Jersey OAG announced a $2.2 million dollar settlement with Vizio, Inc. over allegations that the company engaged in an unfair act and practice when it installed software on its televisions that was designed to collect sensitive consumer viewing data without consent. On February 7, the makers of 5-Hour Energy were ordered to pay approximately $4 million for alleged violations of Washington State’s Consumer Protection Act after the OAGs from Washington, Oregon and Vermont filed suit for alleged misleading and unsubstantiated efficacy representations. Given their use of multistate investigations and litigation, coupled with what is steadily becoming a more aggressive regulatory approach, an understanding of how state Attorneys General exercise their subpoena power is vital. There has been a noticeable uptick in state Attorney General subpoenas in recent months throughout the online advertising industry, particular with respect to student loan assistance service providers and the networks with whom they obtain their leads. In short, state Attorneys General are empowered to issue subpoenas during an investigation, before initiating a legal case. Subpoenas often seek documents that can take the form of, without limitation, marketing agreements, credentialing processes, efforts to monitor third-party marketing partners, electronic communications, telephone call recordings, invoices and advertising materials. Subpoenas are issued to witnesses, subjects and targets. It is of the utmost importance that a regulatory investigation is handled properly and proactively, from the start. The first questions often are whether the subpoena has been issued as part of a “friendly” fact-finding investigation and what is the potential level of liability exposure. Experienced regulatory investigation and defense counsel will meet and confer with the OAG attorney handling the investigation in order to ascertain such information, and discuss the scope of the subpoena and potential modifications thereto. Often, subpoenas inadvertently request confidential or privileged information where disclosure may be prohibited or require a confidentiality agreement. Judicial relief should also be considered, depending upon the circumstances and the breadth of the subpoena. Upon receipt of a subpoena, immediately ensure that all relevant information in preserved. If you are in a high-risk vertical, suspect that you may be a potential target, or are the subject of an Attorney General or FTC investigation or enforcement action, contact an Attorney General Subpoena Lawyer to discuss how to mitigate potential exposure or otherwise respond. Over the last decade, state Attorneys General have refined the process of pooling governmental resources and sharing information with federal regulatory agencies. Failing to quickly address and skillfully comply with an Attorney General subpoena can have serious consequences.